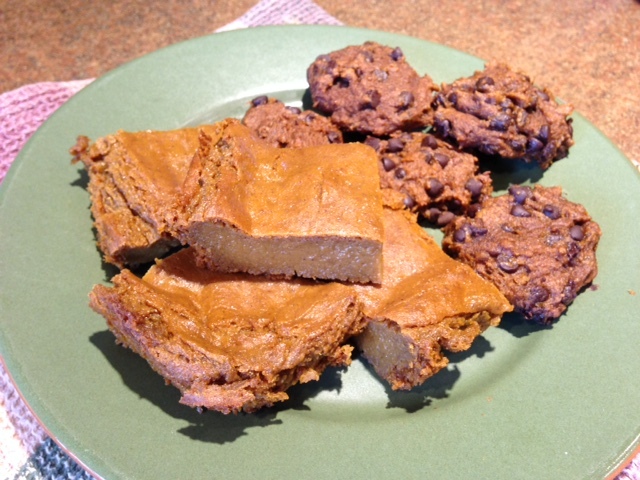 Cool October weather means it’s time to bake something with pumpkin! 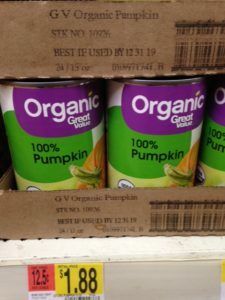 Before sharing four of our favorite pumpkin recipes, you might be interested to know that cans of organic pumpkin can be purchased at Walmart for $1.88. That’s a deal in my book! 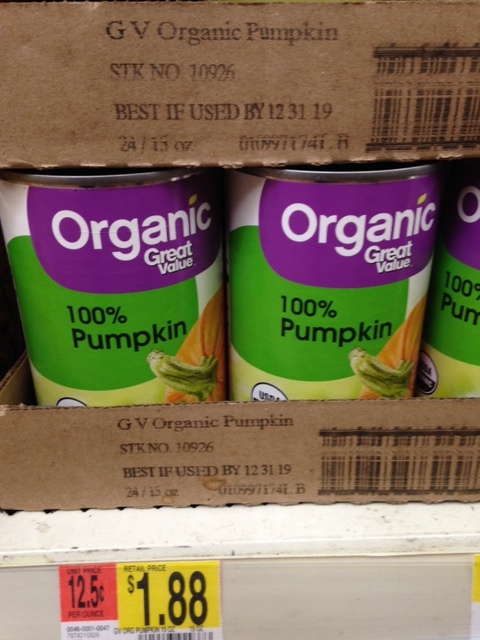 If you know of other great pumpkin bargains, feel free to share in the comments. This is a wonderful pie which you prepare in the blender! It’s gluten-free and forms its own crust as it bakes. The only variations from the recipe that I use are this: Instead of a pie plate, I use a 7 x 11 glass pyrex baking dish and let the pie bake an extra 15-20 minutes than what’s prescribed. When the top and sides are crusty, it’s done – even though the inside will seem mushy. Let it cool, the refrigerate for several hours. The pie ‘sets’ as it cools in the fridge. Top with Dr. McDougall’s Vanilla Cream Sauce if desired (the cream sauce recipe is found at the bottom of the newsletter page). These delicious cake-like cookies are easy to make (only 7 ingredients)! Be sure to use non-dairy chocolate chips (such as “Enjoy Life” brand). 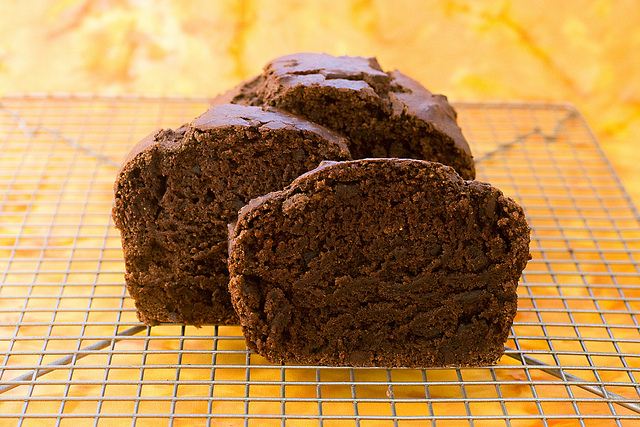 This recipe by Isa Chandra Moskowitz results in a loaf that is both dense and moist – and oh-so chocolatey! It makes a great Christmas gift (or stocking stuffer, too, since you can make 4 small loaves if you have the right pans). Add nuts to the recipe if desired. 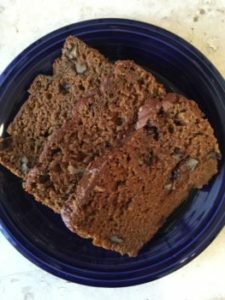 This recipe has been a favorite for many years! I first made these muffins in 2009 and have continued making them ever since. The link is no longer on-line, but I’ve posted to the recipe to my website because I feel it’s such a keeper. Be sure to read my NOTES under the recipe. 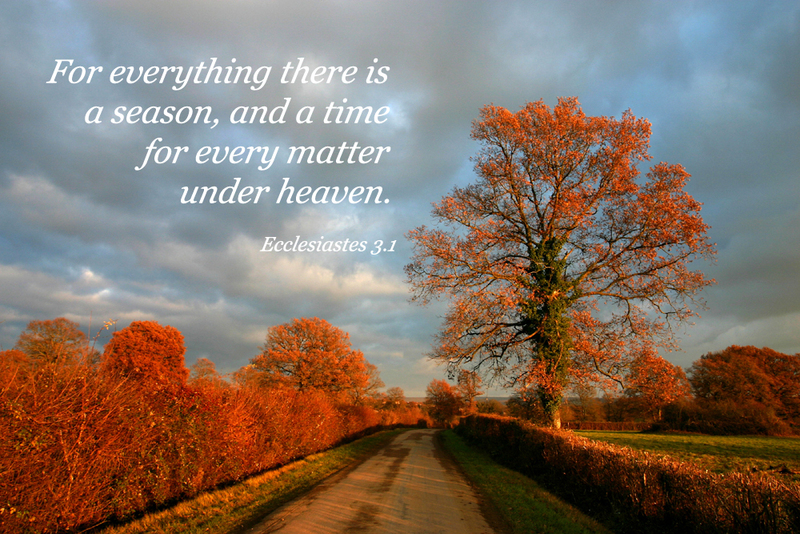 Enjoy the beautiful fall weather. 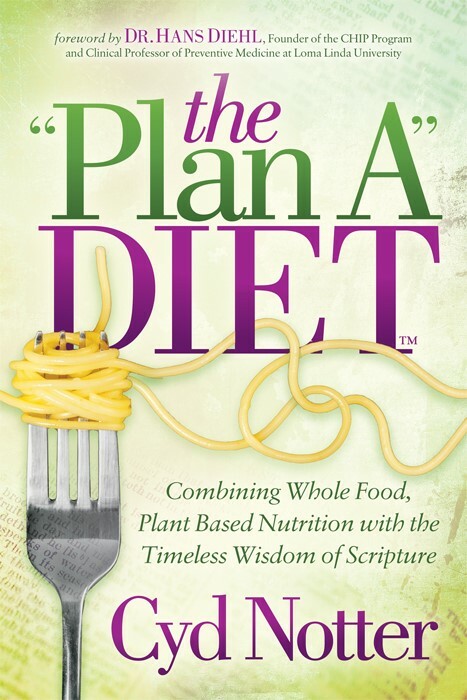 And if you have a favorite whole-food, plant based pumpkin recipe, let us know!